Today is day 3 of having a squirrel in our office. Unfortunately, I am more afraid of squirrels more than any other common animal, so it’s all I can think about. 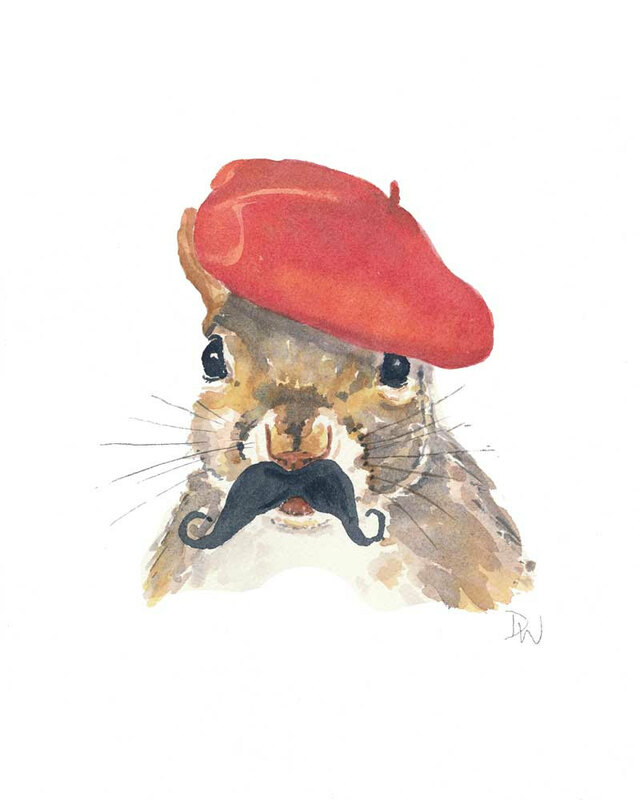 If I knew the squirrel had a mustache and beret, I’d be pretty pumped, but I’ve seen the little rat and it doesn’t. It’s got rat eyes and a rat face and I know it’s making plans with other squirrels to take of the entire office space. If you need me, I’ll be at my desk crying. This entry was posted in Animated Steesh and tagged animal, animals, beret, desk, fear, feminine screaming, Humor, life is ending soon, lots of crying, Moustache, mustache, nature, Office Space, rat, squirrel, squirrel revolution, tears on October 25, 2012 by Los Bulls. Reblogged this on howdy doo. How cute is this little guy!